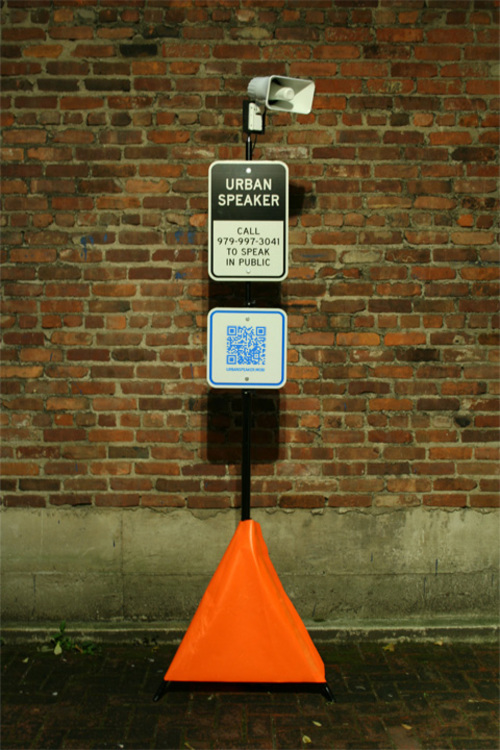 Tom Krieglstein shared a blog post last week featuring this Urban Speaker, an outdoor art installation by Carlos J. Gomez de Llarena. It was intended to offer an instant stage for public communication. I shared with a colleague that having my own urban speaker, or Campus Speaker, would be quite handy as my office overlooks a major residence hall thoroughfare. Hey, you! Walking through the landscaping! They call it a sideWALK for a reason! Hey, you! Please use the crosswalk! You are becoming a retention risk! Yo! You on the motorcycle! SLOW DOWN! This is a residential area! What would you share on your Campus Speaker? This entry was posted in higher education, residence life, student affairs, technology. Bookmark the permalink.